For our big 30 we got the most amazing gift from our mother. 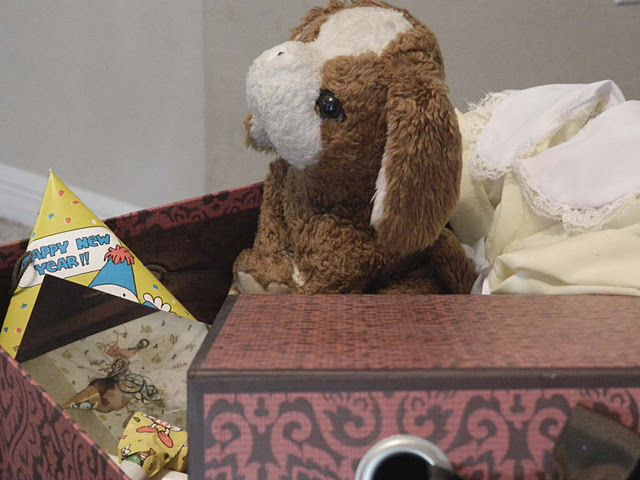 She was looking back through the cedar chest and decided it would be lovely to put together a similar gathering of items just for the two of us. Something so we could each look back and remember all the sweet memories of our childhood! The morning of our birthday we were both given two boxes, each holding our own mementos. So exciting, I love looking back...I had the most amazing childhood anyone could ever have dreamed of. So many beautiful family moments! I opened the box... DOG!! (I was very creative in his name as you can see) oh how adorable! Inside my mother had put together a binder of precious pictures, certificates and little tinkerings of memories made along the way. 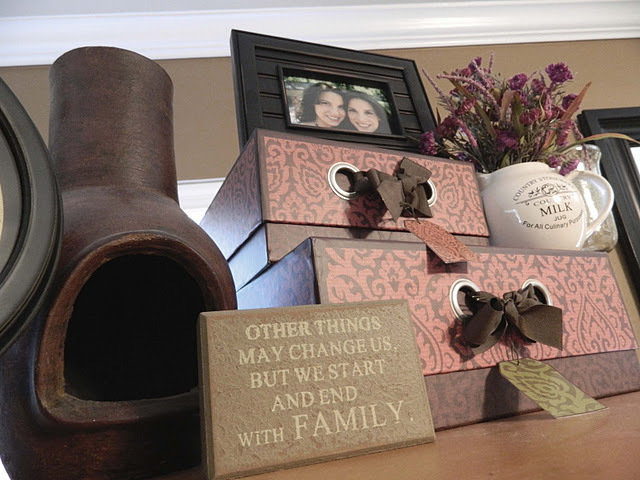 To boot she had put our beloved belongings in beautiful decorative boxes! What an amazing way to be able to cherish happy memories and still make them apart of your everyday home. Cause lets face it I love dog but he doesn't quite go with the motif! Here they sit upon my armoire in my living room and each time I look up I remember just what's in there and all the wonderful memories yet to be made! So sweet! Thanks Mom, you truly are the best!